OUR PHILOSOPHY: LIVE YOUR BEAUTY. We believe that todays face of Beauty is natural, relaxed and confident. All of these factors, and not only one’s appearance, is how we define beauty. This is why our brand DNA expresses Style, Confidence, Authenticity, Closeness and Joy of Life. Astor understands women’s Beauty needs. We love to share our passion with women. We love to guide and help them to be their most beautiful selves by selecting what suits them best, so that they can take charge and LIVE THEIR BEAUTY TO THE FULLEST! For over 60 years, ASTOR has created high-quality cosmetic products that allow every woman to be her beautiful best in any situation. Passionate about beauty, we feel uniquely attuned to women’s beauty needs and strive to offer real responses. 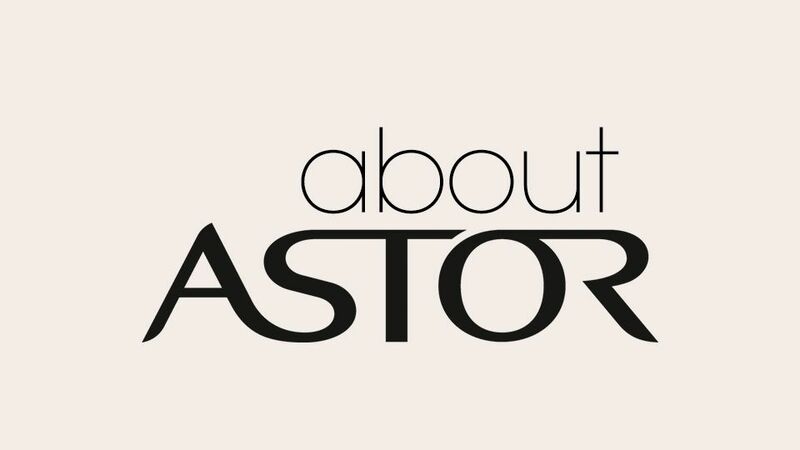 Launched in 1952, ASTOR is a pioneering brand that made the most of the post-war economic boom and women’s desire to be colorful and fashionable again. Our name comes from the Astor family, who founded New York’s famous Waldorf Astoria hotel and originally hailed from the German town of Waldorf. Since then, ASTOR has grown to become one of the leaders on the European cosmetics market by offering innovative and reliable products. Over the years, ASTOR has claimed its place as a color leader with shades that are always in tune with women. With more than 500 products and shades to choose from, every woman can find the perfect match to be stylish, modern, trendy and fashionable. Today, we develop fashion color collections with our artistic advisor and fashion expert Heidi Klum. More than ever, we design products that reflect the latest trends and shades. From the very start, ASTOR has aimed to help women look and feel beautiful, inviting them to experience how beautiful it is to be themselves. Live your beauty with ASTOR! WOMEN are our true inspiration and the center of our attention. You love life. You are a responsible, caring woman who always stays positive, no matter what. This is the source of your energy! You want to be in sync with your times. You’re definitely a modern woman and modernity defines your esthetic, tastes, attitudes and choices. Color is our heritage. It plays a huge role in life. Perhaps it’s just your arty side, but you’ve always played with color to create your own personal palette in terms of your makeup, clothing, home and car… Your life bursts with color! You are a real woman in real life. You feel, you laugh, you cry, you fall in love, you play… Emotions, expressions and sensory experiences are what keep you alive! Beauty reveals personality. That’s your motto. You like when people look at your eyes and face first, not the brand you’re wearing. Your personality is what makes you unique! You are self-confident. That’s the most important part of your beauty. Why go overboard? You just need your inner strength to shine. Light yet tasteful makeup, loose and natural hair, a tousled bun, flowing materials: your beauty looks effortless! You are so active and do so much every hour and every day that, when it comes to your beauty, you want practical, clever products that are easy to use! New concepts, performance, innovation, effectiveness and ingenuity… But designed for you. Because your Beauty experience should be a delightful and joyful ritual, a moment that indulges your sense of sight, smell and touch. ASTOR + Our aim ist to provide products that are both attractive and pleasurable plus respond to your need for care, comfort and long lasting.